My brother was so kind to pick me up from the train station and even took me out for ice cream. That folks, is the key to my my heart. I had a small vanilla cone dipped in peanut butter and peanuts. heavenly. Also, it was so gigantic I asked for a cup. Now I had 2! Vanilla cone and PB sundae. Gosh, am I ever smart. Peanut butter? good. Ice cream? Good. 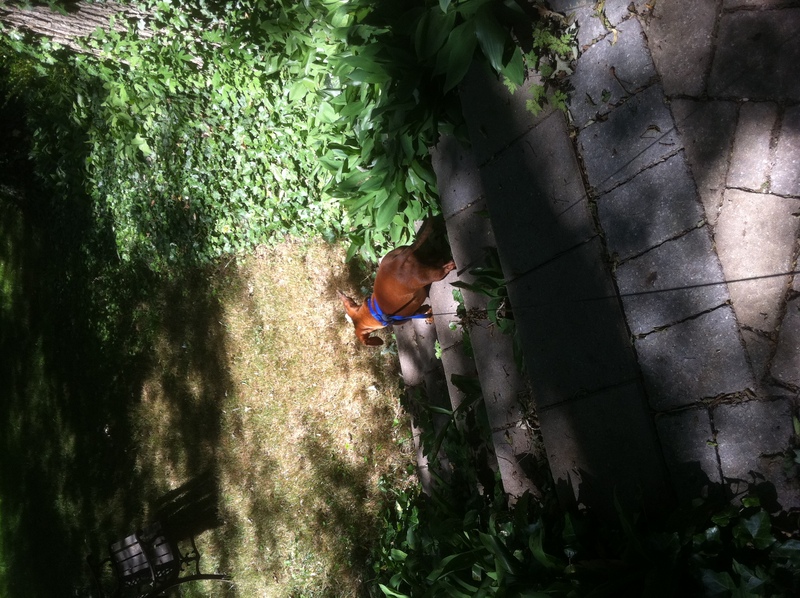 As I haven`t been feeling well the last few days, I haven`t done much in terms of exercise…So, this morning I woke up and thought I’d get some light exercise in with my darling weinie, peanuts. However, Peanuts had something else in mind. 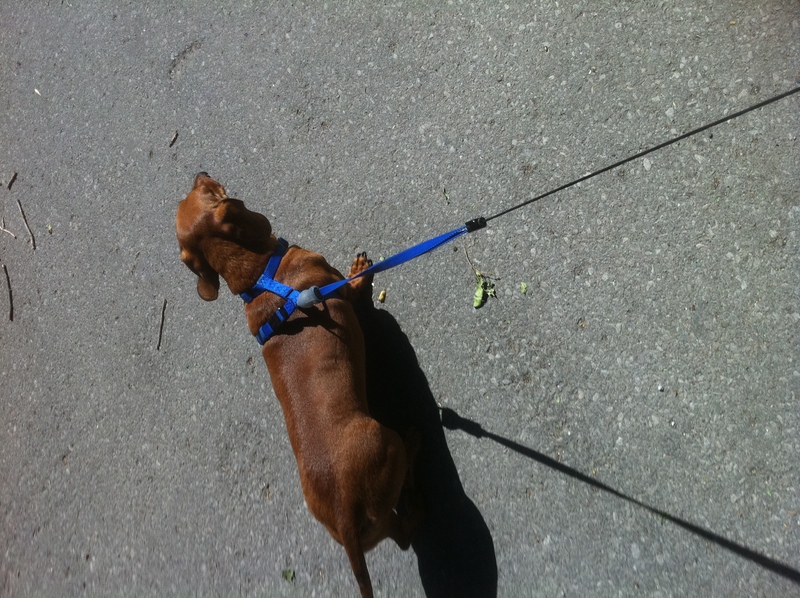 Once we had walked about 100m, Peanuts decided that he was in charge….And he walked me right home. 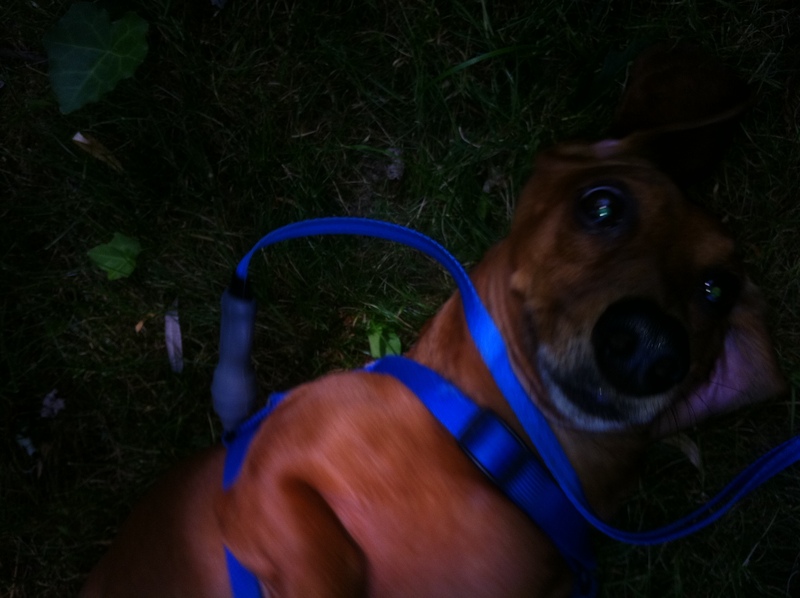 He took me on a nice tour of the forest-y area of my parents backyard. 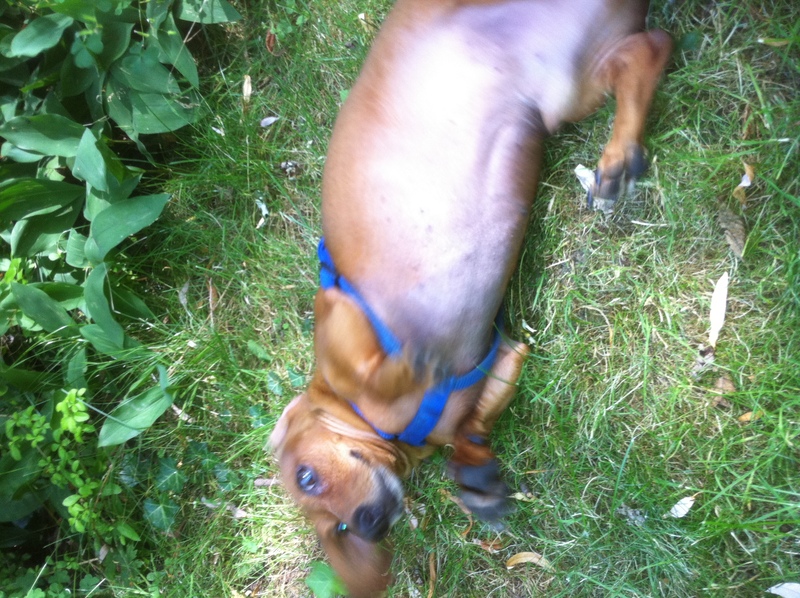 Where proceeded to roll around like a maniac. 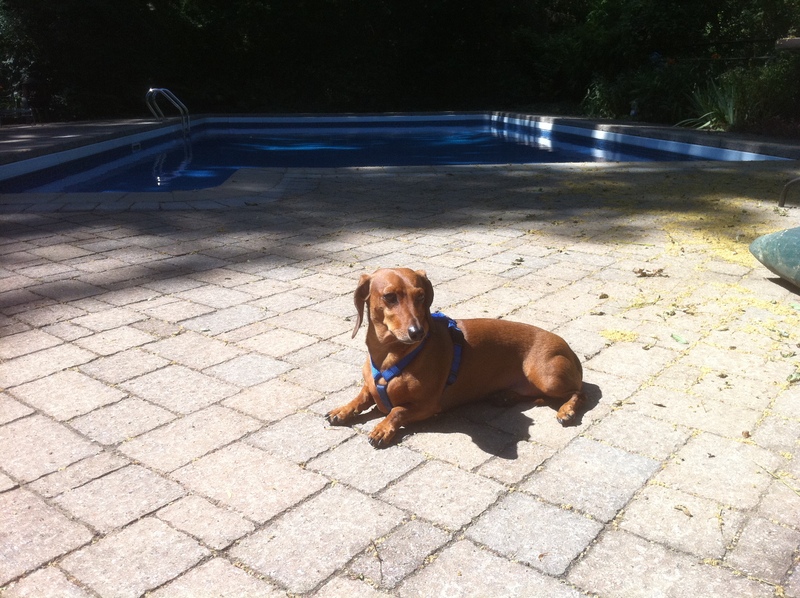 At which point (less than 10 minutes after we set out for our `walk“ He decided he was tired and needed to relax and suntan by the pool. I leave for New York tonight with my Mama. In her mind, we are the same age. She’s pretty funny, and quite popular with my friends. … In the past we’ve been mistaken for sisters. Although I should note I was 10 and the man who called us sisters was dressed up as a clown. Regardless, should be an interesting trip. In her words “I’m going to teach you what it’s like to be an old woman”….I`m not sure what this means…and she’s already so hyper…. wish me luck! haha. Haha aw that sounds so fun!! Have a good time in NYC!! Aww, your mom sounds cute! How you two ladies have a blast in NYC! OMG peanuts.. love!!!!! 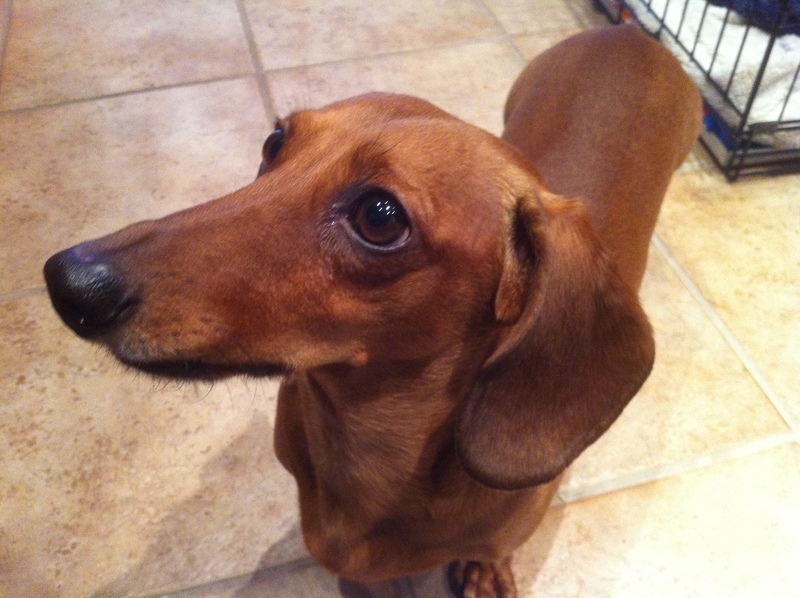 I love weiner dogs! 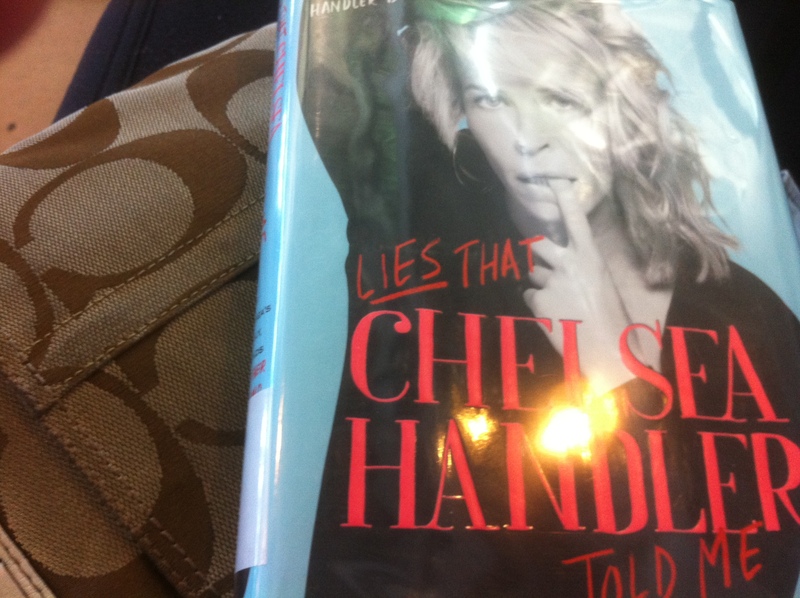 I also love Chelsea Handler’s books she is hilarious!